¡Oculta fotos, aplicaciones, vídeos, notas y archivos con protección por huella dactilar! 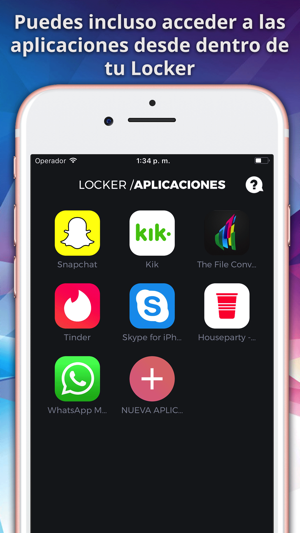 ¡Puedes incluso eliminar aplicaciones de tu pantalla de inicio y acceder a ellas únicamente mediante tu Locker! 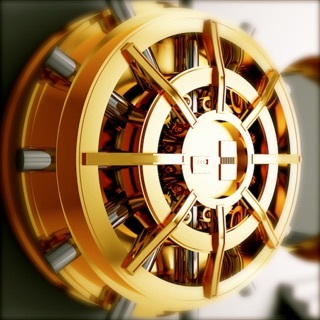 ¡Locker te permite coger cualquier cosa de tu teléfono y almacenarla en la aplicación, protegida por PIN y por huella dactilar! ¡Nunca tendrás que volver a preocuparte por dejar a nadie tu teléfono y que vea tu información o tus aplicaciones privadas! 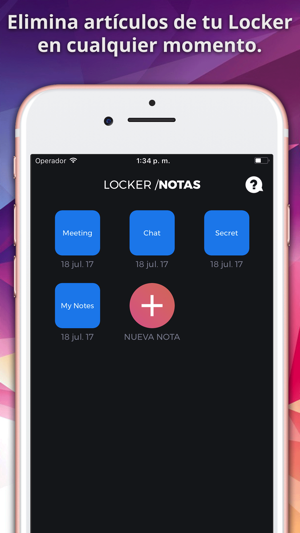 • Notas: ¡escribe notas privadas directamente en la aplicación Locker! • Archivos: ¡almacena cualquier archivo en tu Locker donde solo TÚ puedes acceder! 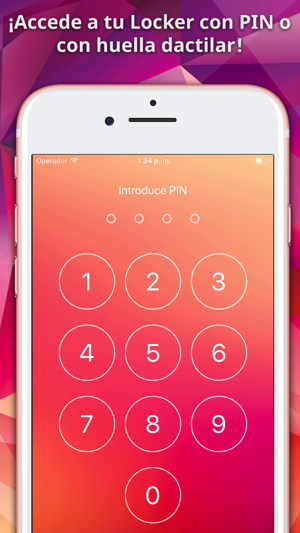 Nota: no podrás acceder a tu Locker si decides no ajustar TouchID y olvidas tu PIN. No nos hacemos responsables de los archivos perdidos y no podemos eliminar información ni aplicaciones de otras áreas de tu dispositivo. • Any unused portion of the free two month initial period will be forfeited when you purchases a subscription. Hide the apps is very difficult. And it is probably an iOS bug. The better technique is to put all the apps you want to hide inside a folder and hide this folder. On iPhone X I have to softly press and hold the folder I want to hide in order to it starts tickling, without taking the finger out of it I hold the side button to start Siri, and almost at the same time I do a strong press on the folder and start moving it. So I take the finger out of screen, out of side button and close Siri by sliding up the screen. The problem is that you have to do it again every time you hold an icon to move it around, and this is the way you return the folder to screen again. The app works fine but it relies on this iOS bug. The process of hiding your apps is such a chore that it is not even worth it. You need to have your first screen filled up entirely. I tend to keep my first page clean as possible and only have everyday apps on the main screen. So you have to go through move apps to the main screen just to proceed. The steps it takes you through to hide the app is silly. Secondly, once you update those hidden apps, they show up again. Then you have to go through the process amd re-hide the app. Third, when you launch the app within this Locker App, it takes you to that apps App Store page for you to launch. Goofy. Unless they address those issues. Don't waste you money.